Statement touch for Winter 2017 season. Have always been into that rock-ish (or, in general, musician) kind of thing? Or are simply thinking of adding an interesting touch to your Winter-ish wardrobe by means of a bag? Then this trend is right for you. 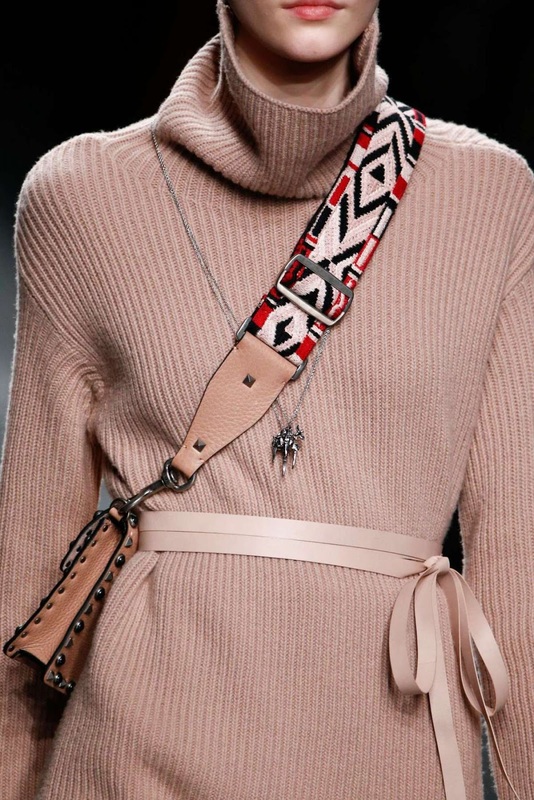 Bag straps that remind us of guitar straps are quite a thing recently. And we are not speaking directly of this current season as such straps were spotted at Spring/Summer 2016 runways... moreover, such a 'strap kind of thing' can easily be taken into Spring/Summer 2017 season. Why? Because it's a way to stand out and sort of customize your bag - just the way guitar owners do. So go on playing around bag straps in terms of different styles, textures, colors, prints, embroidery and embellishments. Best runway inspirations were spotted at Burberry, Fendi and Lanvin. While coolest straps to up your bag game can all be found in a fresh PQAP selection.